– To prevent diseases and pest infestation, avoid piling mulch against tree trunks. – Use a layer of coarse mulch 3″ or more in depth for weed control. – Cover perennials with several inches of loose mulch to protect from winter cold. – Spread mulches under annuals after they are 4″ to 6″ tall. 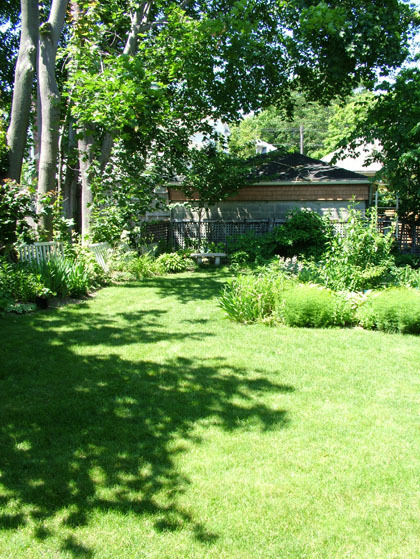 – Water the ground thoroughly before and after applying a mulch cover. Some good mulching materials are: compost, grass clippings (dried), shredded leaves, old straw, wood shavings or bark chips. Avoid using plastics, fabric, or gravel. They are unattractive, and don’t break down into humus for the soil.